A couple of weeks ago, I posted an interview with Mars Attacks sketch card artist Sam Gambino and I've received quite a few e-mails about it. One of those commentors was another Mars Attacks Heritage artist, Van Davis. You can find a whole lot of his art at his deviantART page here. 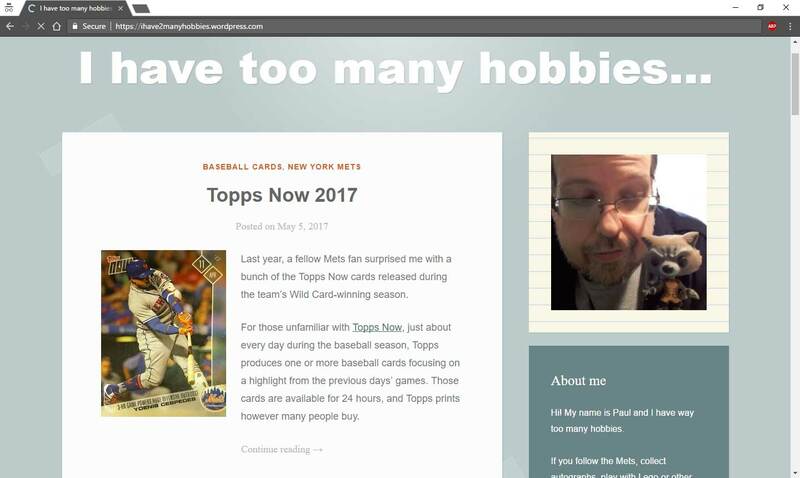 He was nice enough to shed a little more light on the process of having sketch cards approved by Topps. 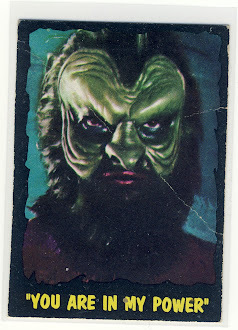 A Van Davis sketch card from eBay. Q: How many cards did you create for the Mars Attacks Heritage set? A: As a matter of fact, I did 106, all together, and numbered them all sequentially with my signature..."001 of 106, 002 of 106, etc." Q: Taking a look at your sketch cards that have popped up on eBay I really like how detailed your cards are. For your 106 cards, how long overall did that take you do you think? A: As for my cards, first of all, I'm glad you like them! You can look at the rest on my Deviant Art site, to get a better feel for the level of detail on different cards, if you like. I had about a month and a half to do the cards and given the 3 options of how many I thought I could finish in that time. As it was my first ever work in sketch cards, I bit off more than I could chew and agreed to 200. About a week into making the cards, I wrote my contact and apologetically asked if I could reduce the number to 106. That's not very professional, but luckily they seemed to understand and were appreciative that I didn't wait to the last minute to say so. Q: Along those lines, how do you balance the desire to get those cards done quickly versus putting out the highest quality product? Did you try to do some "quickly" to be able to take longer with other cards? A: As for balancing speed and quality, it really came down to scheduling myself. I knew how many I needed to do, per day, to meet my deadline. I also knew that doing them all in color would be out of the question, so I made the decision to do half color and half black and white. There are definitely some cards that are less detailed, or not quite the same quality as the rest. But those are mostly due to the fact that I was finding my feet on what I could and couldn't do on such a small canvas, as well as trying out different tools and techniques to see what worked best and to vary my cards a little more. Another Van Davis sketch card. Q: Do you send scans to Topps or was it only after you had sent them the physical versions of the cards that designs were approved or they let you know that everything is accepted? A: I sent scans of the cards, 9 at a time. I'm not clear whether that was "required." But, I had clarified with Topps in the beginning that I could post my art for the set as soon as someone had seen and approved them. It also prevented any nasty surprises for me, after mailing the cards; as you're obviously only paid for those that get approval. A: If you decide to follow the Star Wars Galactic Files set from Topps, I'm just finishing up my sketch cards for that set as well. I'm currently posting the approved cards on my Facebook and Blogger, if you're interested, and I'm looking to get my name out wherever I can.